It’s summertime, so it’s time for some road trippin’! Our Etsy shop update on Friday, June 23, 2017, will feature four new colorways (see below) and a re-stocking of several of our most popular colorways. Miles of blacktop separate colorful roadside stops in this fun-filled self-striper. 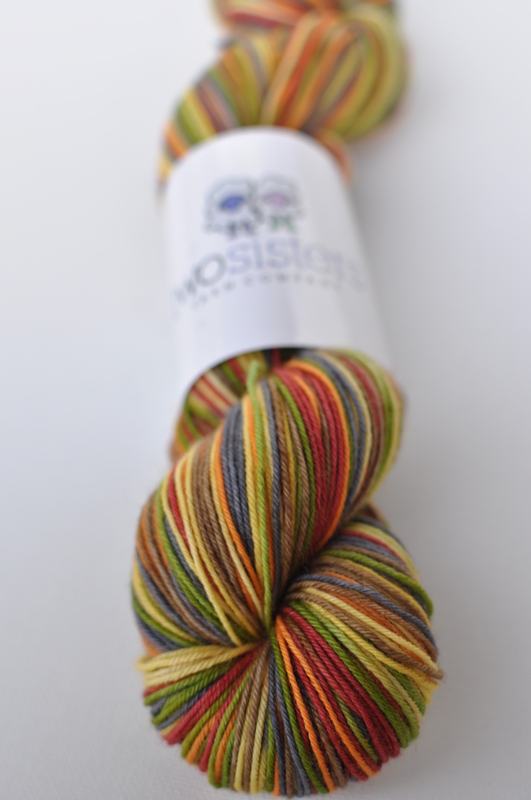 This yarn was dyed on our Big Sky Base, and the colored stripe names are based on a road trip we took from Billings, Montana to Denver, Colorado over Memorial Day weekend — Billings to Sheridan (green), Sheridan to Casper (mint green), Casper to Cheyenne (pink), Cheyenne to Fort Collins (red), and Fort Collins to Denver (purple). The miles will fly by with this one! 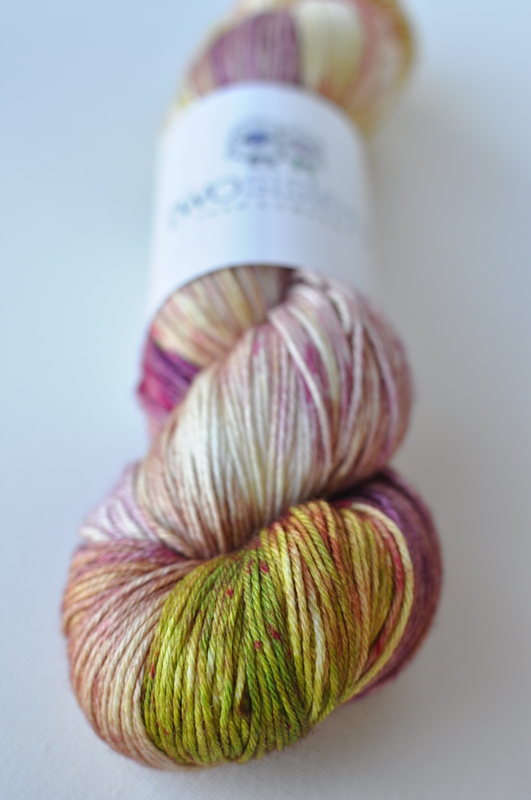 Dyed on our Stillwater Sparkle Base, this variegated colorway was named after a segment on one of our favorite podcasts — Grocery Girls Knit. Tracie and Jodi love receiving yarn, patterns, and knitting accessories, and they share the items on their podcast in their “Party In My Mailbox” segment. 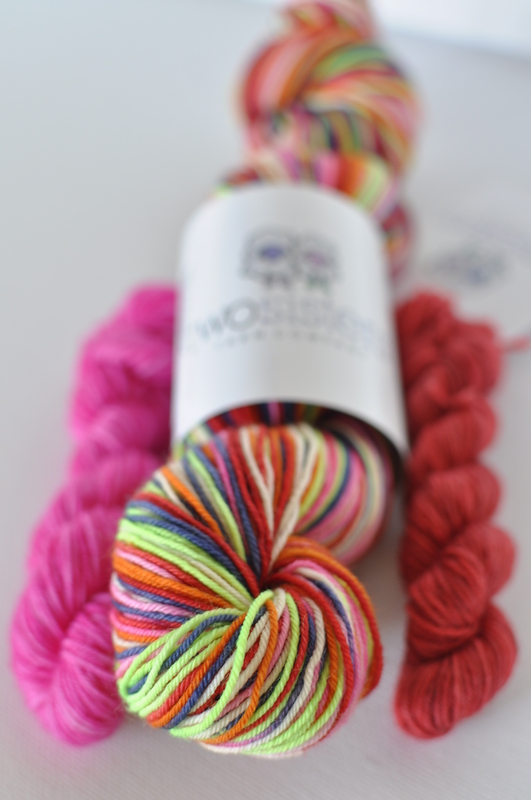 So, party on with this super fun colorway! You’ll be singin’ the blues with this six color self-striper, which was dyed on our Big Sky Base. 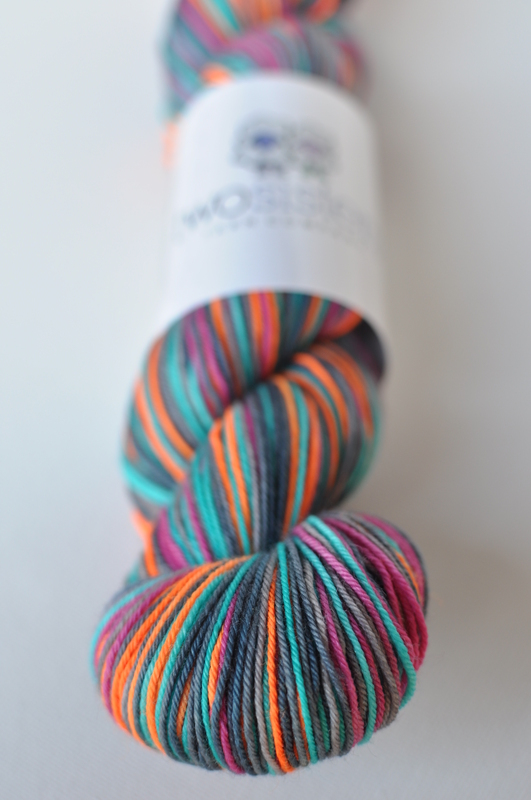 Jewel tone colors and neutrals form the basis for this 5-color self-striping colorway. Dyed on our Big Sky Base, the striping sequence consists of six rows each of black, dark maroon, light gray, blue and green. Good Day Sunshine and New Zebra Minis! We are excited to add several brand new colorways to our Etsy shop on Friday, May 12, 2017. We will also be updating several older colorways. Check them out! Spring has sprung, and the sun is finally peeking out of the clouds after this very long Montana winter. 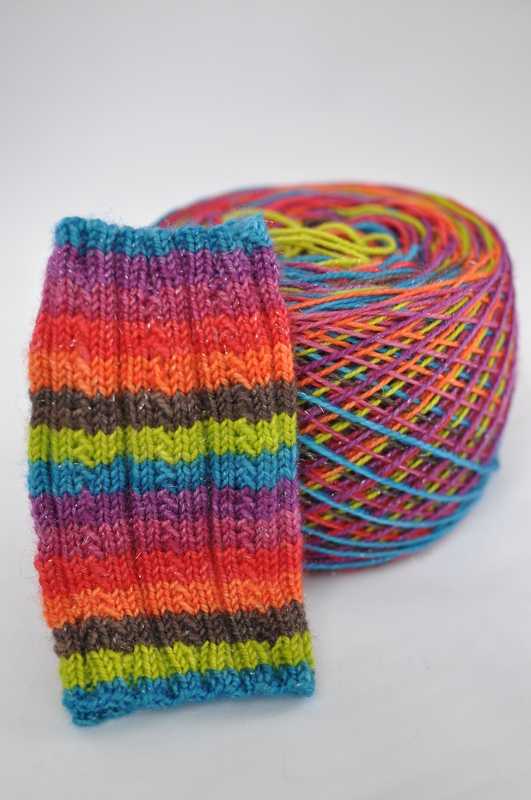 “Good Day Sunshine”, the 1966 Paul McCartney tune, is the latest in our Beatles collection of self-striping yarn. 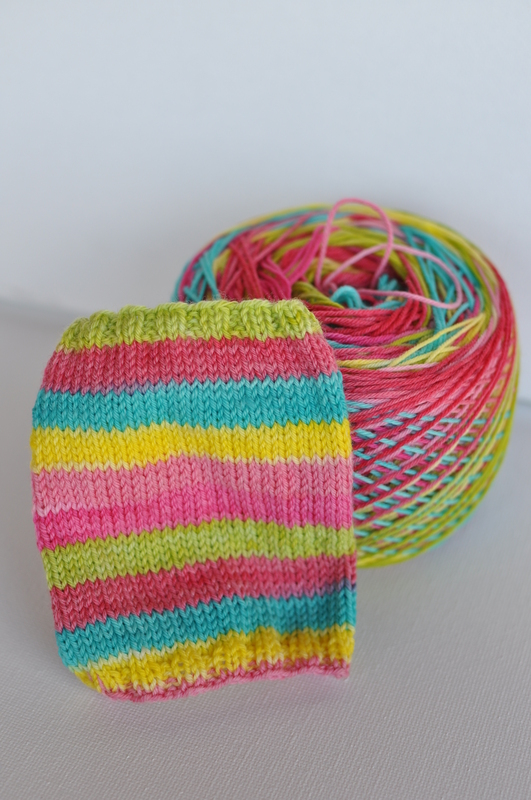 This 6-color self-striper was dyed on our Big Sky Base and features five rows each of bright sun, strawberry pink, mellow sun, minty grass, water splashin’, and cool nights. 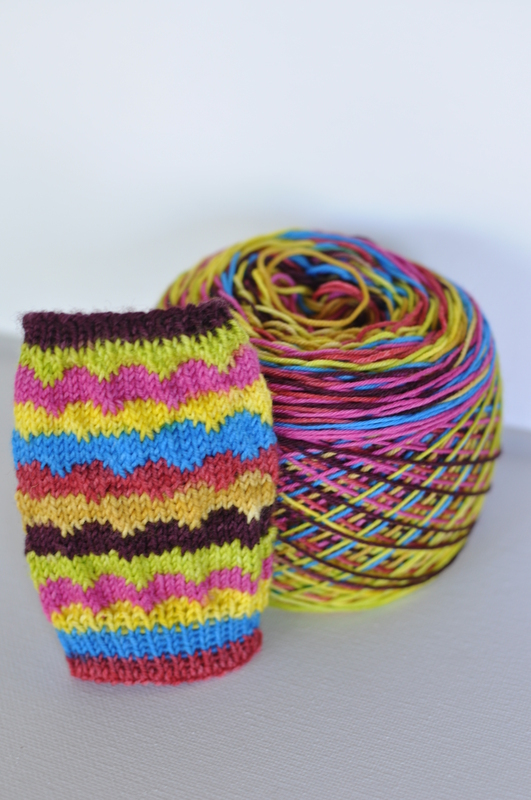 Throw on some contrasting heels and toes with our new black and white “Zebra” Sister Sidekick mini skeins (see below). 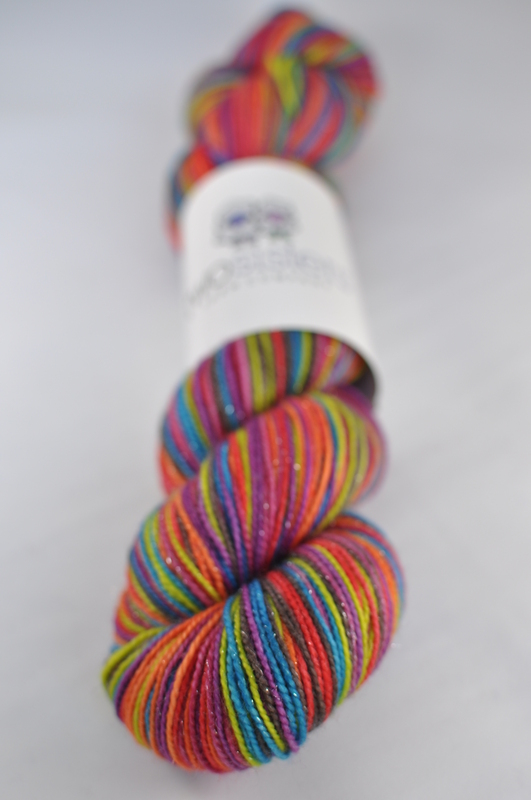 We have just come out with new self-striping mini skeins! 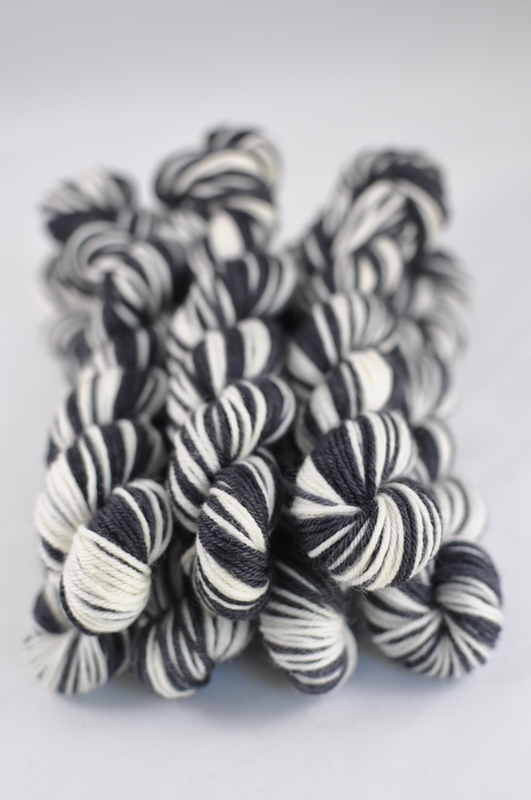 These black and white self-striping minis will go with almost every color of sock yarn. Dyed on our Big Sky Base, the mini self-stripers consist of 5 rows of white and 5 rows of black – hence the name – “Zebra Sister Sidekicks”. 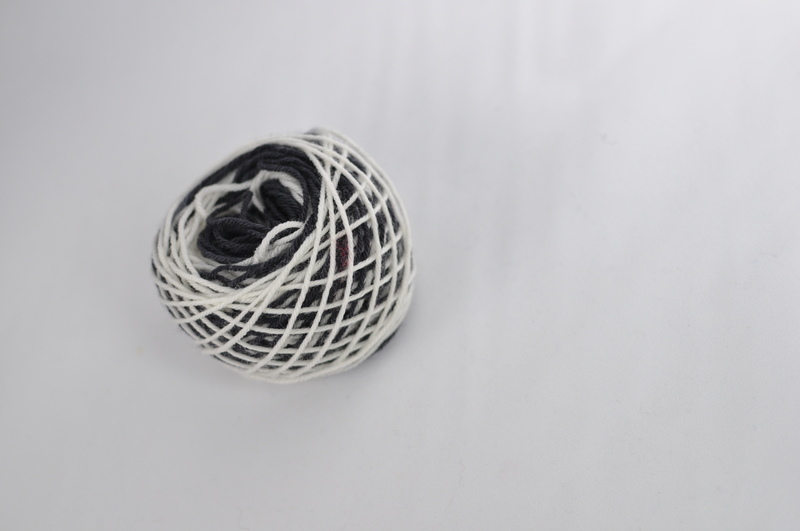 Each mini skein is approximately 54 yards and 10 grams. Remember Willy Wonka and the Chocolate Factory? The chocolate brown stripe and the gold sparkles in this colorway reminded us of that movie – the original, released in 1971. 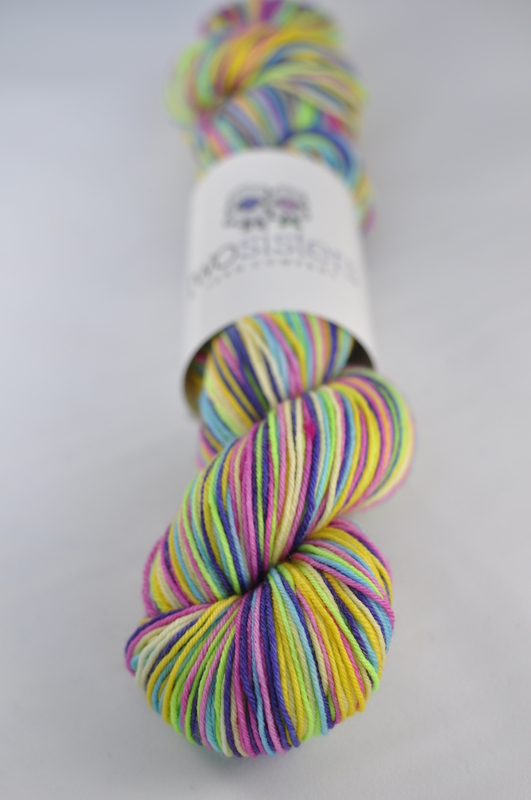 This 7-color self-striper was dyed on our Stillwater Sparkle base and consists of 4 rows each of Charlie Bucket, Golden Ticket, chocolate Wonka bars, Oompa-Loompas, Grandpa Joe, the Candy Man, and Violet Beauregarde. “We have so much time and so little to see. Wait a minute! Strike that, reverse it. Thank you.” Willy Wonka. Do you love pink as much as we do? If so, you will need to snap up this pink beauty. 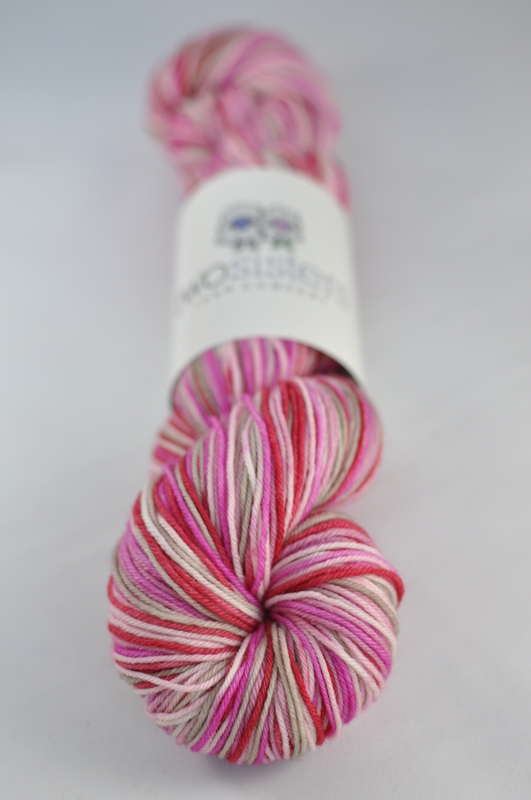 Dyed on our Big Sky Base, this 6-color self-striper boasts 5 rows each of bubble gum, pink starburst, strawberry jam, cotton candy, nougat, and cherries. First introduced in 2015, we have brought back this unique self-striper just in time for your 4th of July festivities. 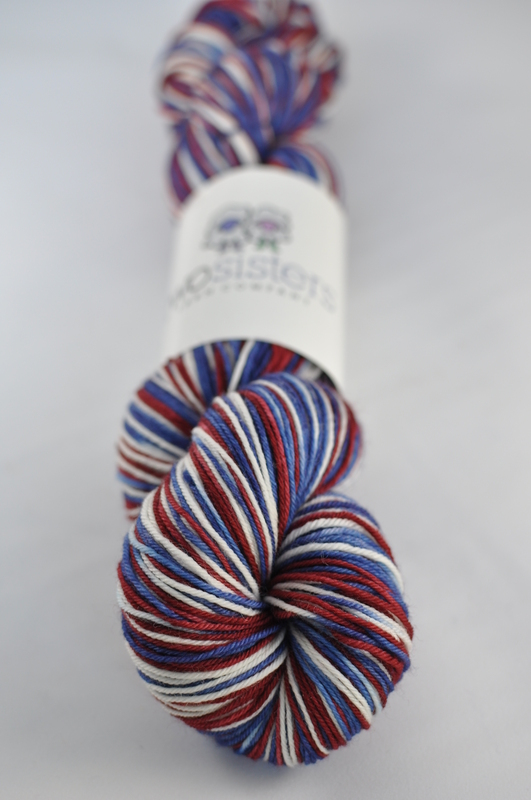 The red, white and blue waves patriotically on this 8-stripe self-striper that will be available on a pre-order basis in our Etsy shop on May 12th. All orders will be shipped in early June. 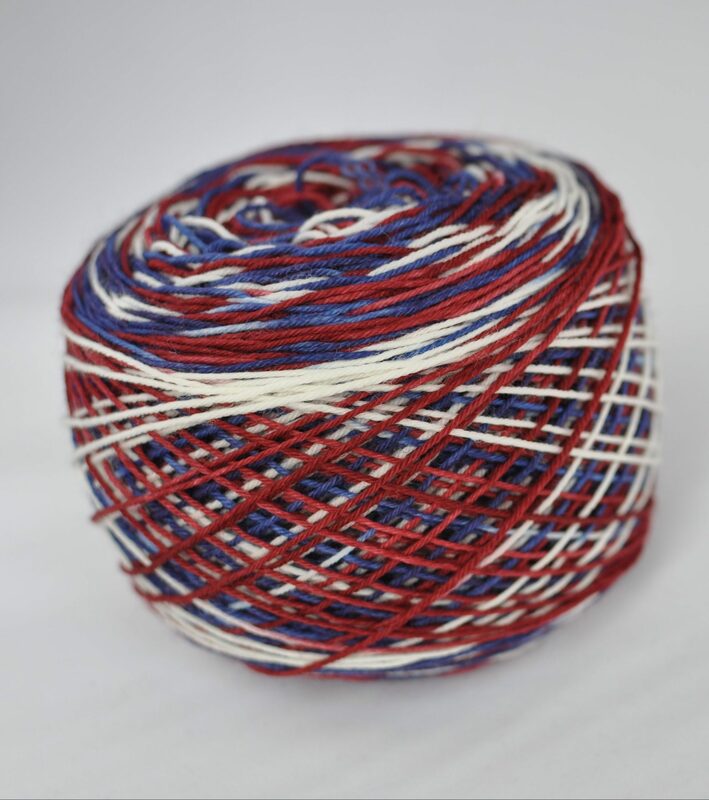 This colorway was dyed on our Big Sky Base, and the striping sequence is 2 rows of independence red, 2 rows of Betsy Ross white, 2 rows of independence red, 2 rows of Betsy Ross white, 2 rows of independence red, 2 rows of Betsy Ross white, 2 rows of independence red, and 10 rows of star-spangled blue. 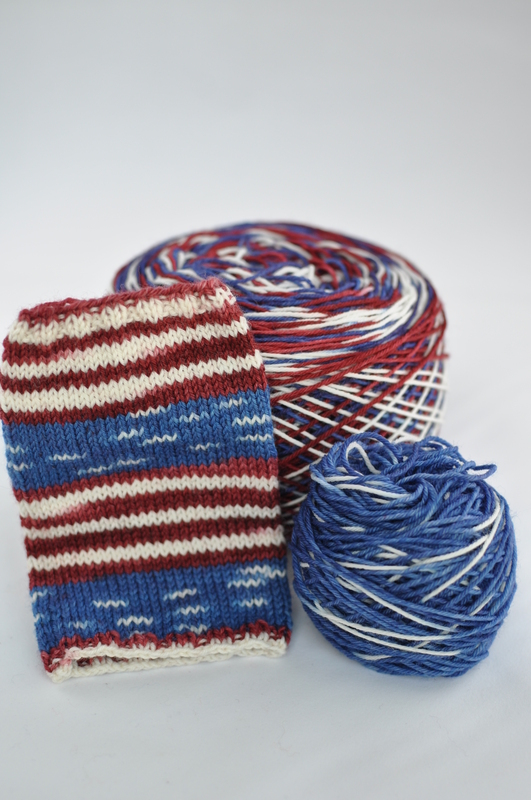 Each skein will come with a “Sister Sidekick” heel/toe mini skein in star-spangled blue. 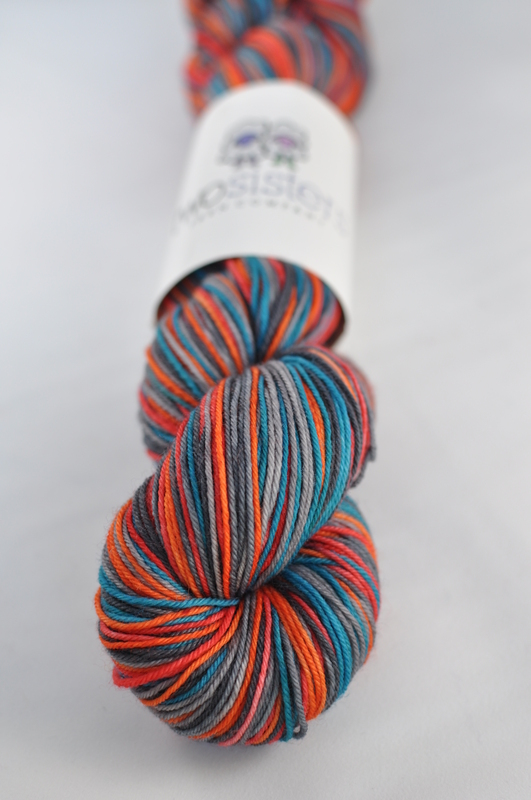 This was one of our first popular self-striping colorways, so it was definitely time to re-dye it. Mixing the black and gray stripes with the primary color stripes reminded us of stained glass. “Stained Glass Masquerade,” named after a song by the Christian band Casting Crowns, has been dyed on our Big Sky Base, and it consists of six stripes, five rows each, of alternating primary and black/gray colors. 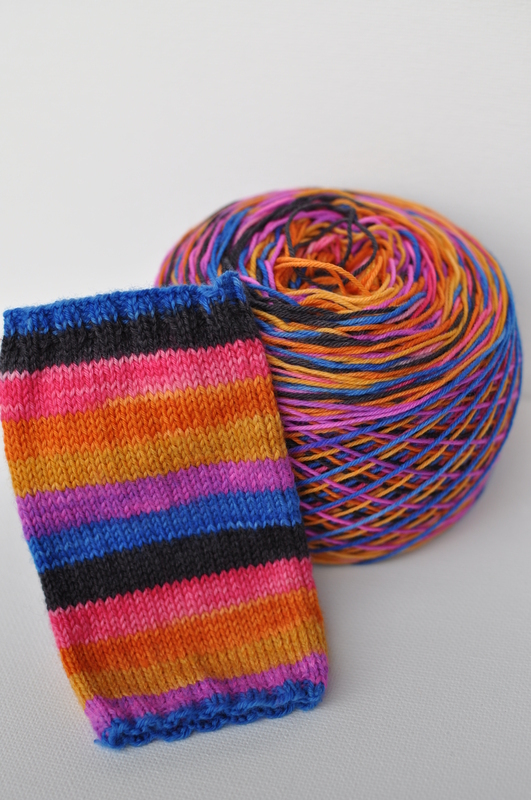 We will also be adding these new variegated colorways to our shop: Kaleidoscope (left) and Stormy Skies (right). 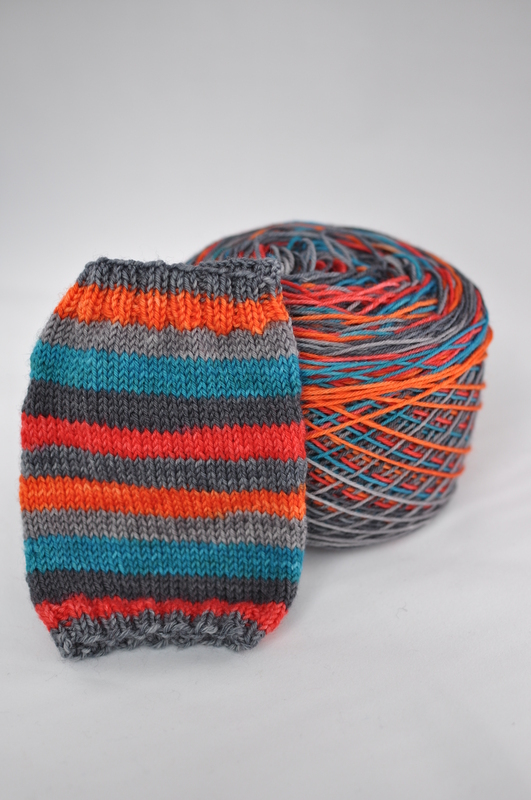 Both of these colorways were kettle dyed on our Yellowstone Base. 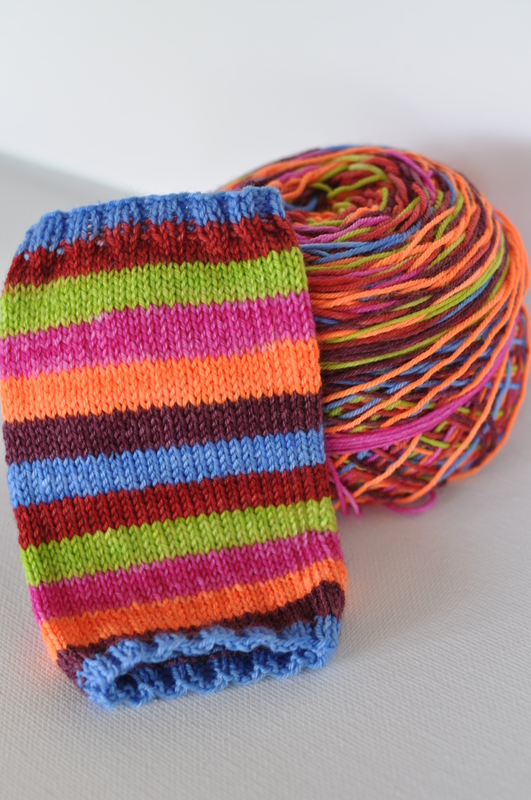 We are introducing four new self-striping colorways for our Etsy shop update on Friday, Oct. 28, 2016. Check them out! In honor of the 50th anniversary of this beloved holiday special, our Halloween colorway this year is based on the 1966 Peanuts classic, “It’s the Great Pumpkin, Charlie Brown”. 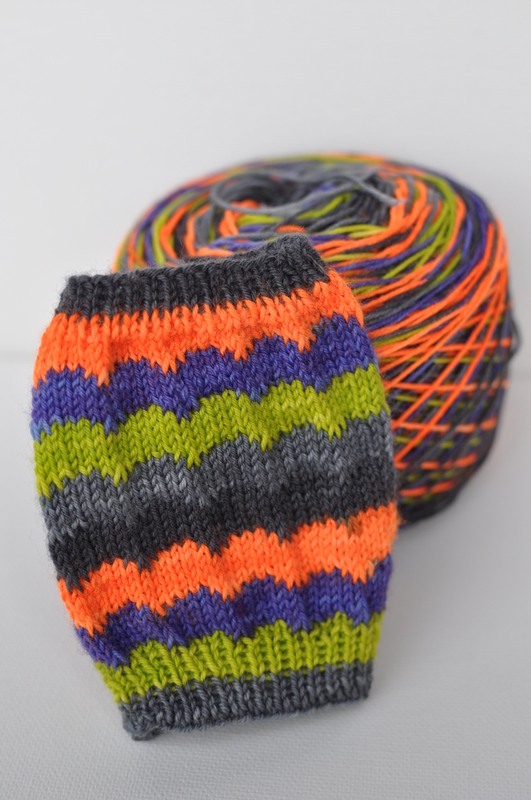 Dyed on our Big Sky Base, the striping sequence consists of 6 rows each of pumpkin orange, Violet’s party purple, autumn green leaves, Pig-Pen dust gray, and Snoopy black. 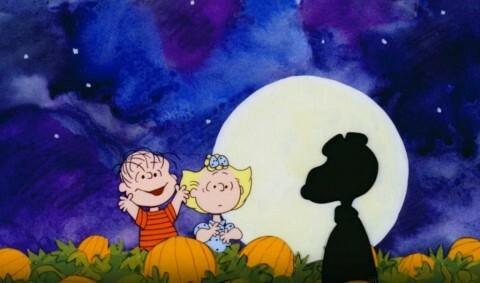 “There are three things that I’ve learned never discuss with people: religion, politics, and the Great Pumpkin.” Linus, 1966. 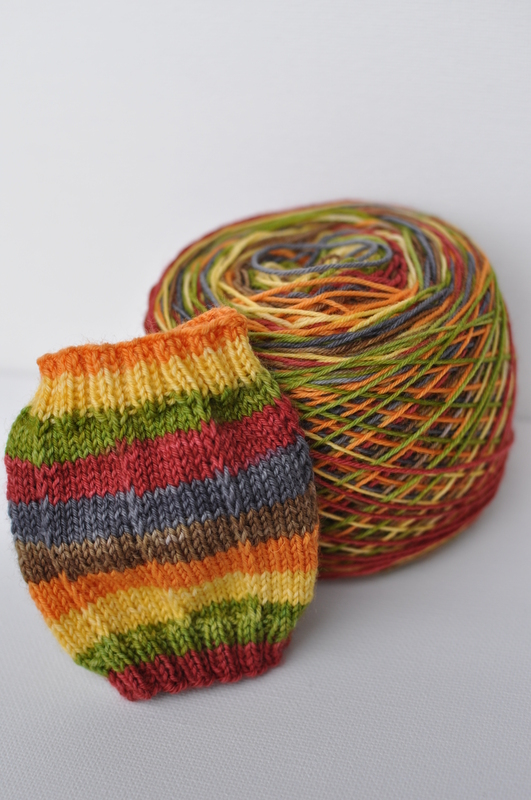 This 6-stripe colorway, dyed on our Big Sky Base, captures the vibrant colors of autumn. 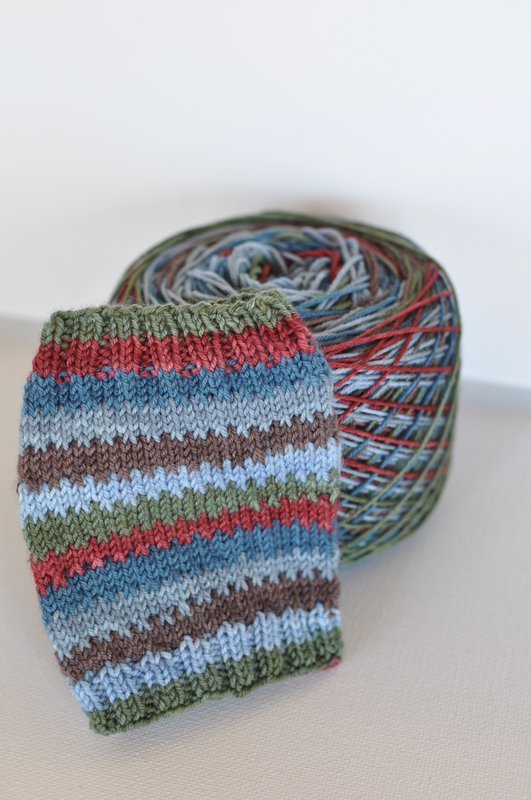 Each stripe boasts five knitted rows (depending on gauge), as follows: auburn red, foliage green, musty yellow, burnt orange, tan brown and cloudy sky gray. 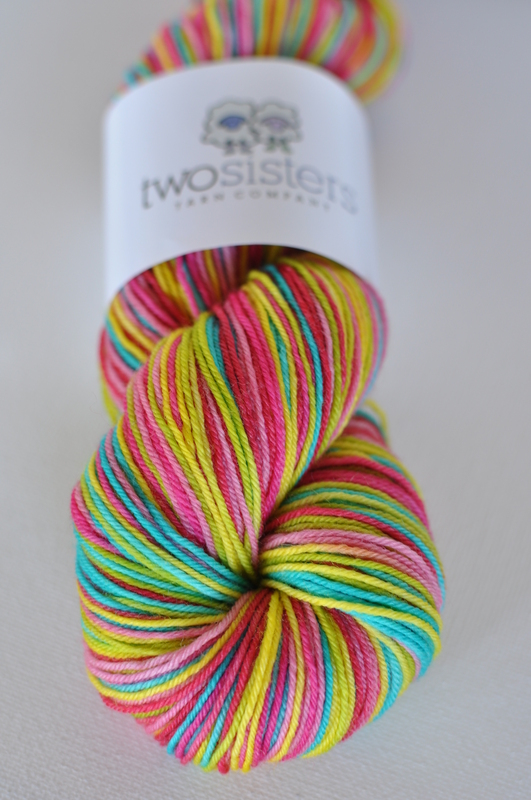 This spunky colorway is based on the 1980’s sitcom, “Punky Brewster”. 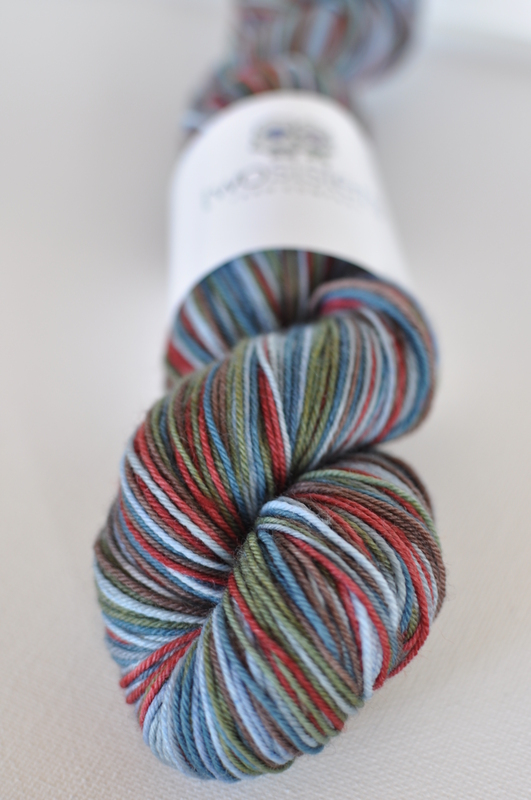 Dyed on our Big Sky Base, the 6-color striping sequence consists of 5 rows each of Penelope “Punky” Brewster green, Henry Warnimont teal, Cherie Johnson pink, Betty Johnson maroon, Mike Fulton red, and “the Wonder Dog” brown. 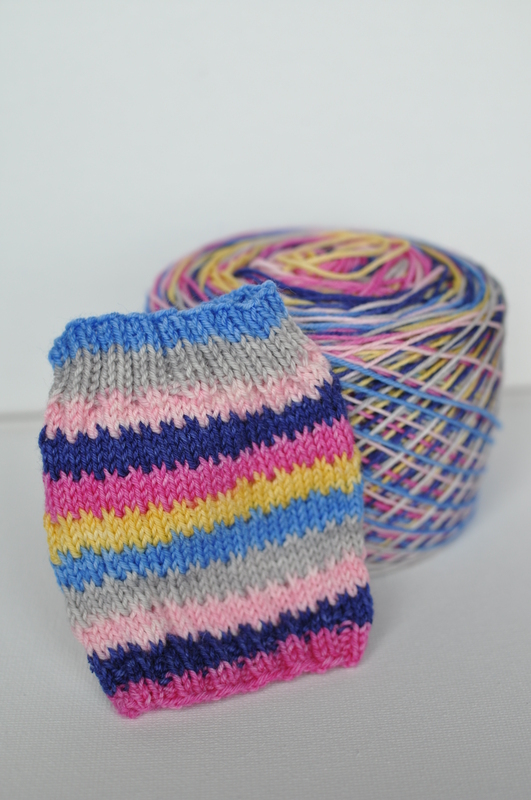 Last, but not least, we are introducing a self-striping colorway inspired by Disney’s Magic Kingdom. 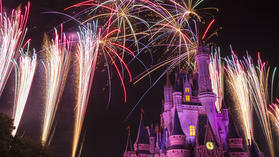 Dyed on our Big Sky Base, the six vibrant colors capture the wonders of this world-famous theme park. The stripes consists of five rows each of blue, purple, yellow, orange, pink, and black. Based on the Austin Powers movie “International Man of Mystery,” “Yeah, Baby!” has been dyed on our Big Sky Base. This 6-color self-striper consists of 5 rows each of Austin’s crush blue velvet suit, pink fembots, Dr. Evil gray, Big Boy blue, 60’s groovy yellow, and Vanessa pink. Oh, behave! 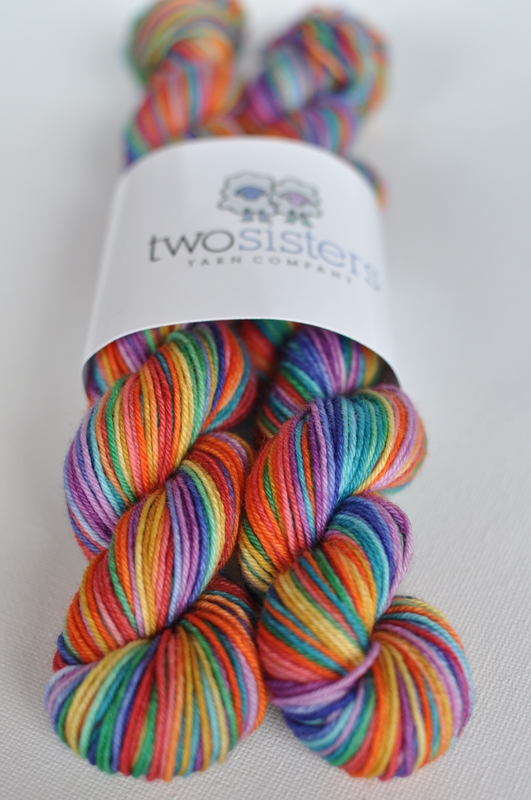 Due to popular demand, we are bringing back “Watercolor Rainbow.” Dyed on our Big Sky Base, it comes in two identical half-skeins. The striping sequence consists of 12 rows dyed in a gradiant effect (dark progressing to medium progressing to light) of each of the following colors: tomato red, tangerine orange, mustard yellow, spearmint green, tidepool blue, mulberry purple, and boysenberry violet. 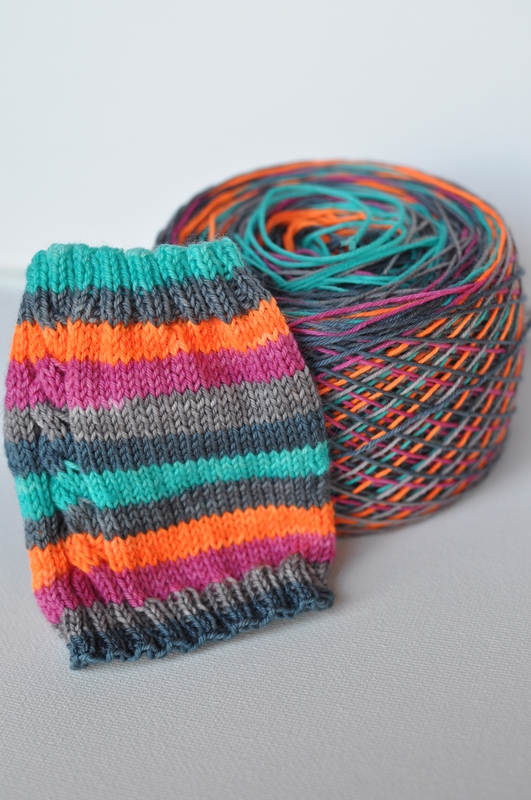 Each OCD skein set comes with a Sister Sidekick heel/toe mini skein in tidepool blue. 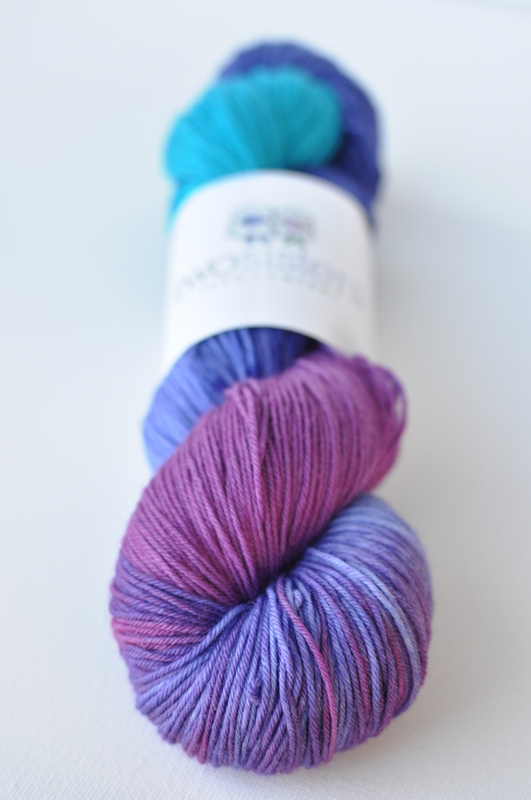 Mini skeins = 378 yards; Sidekick = 50 yards. Seinfeld fans unit! Serenity Now! 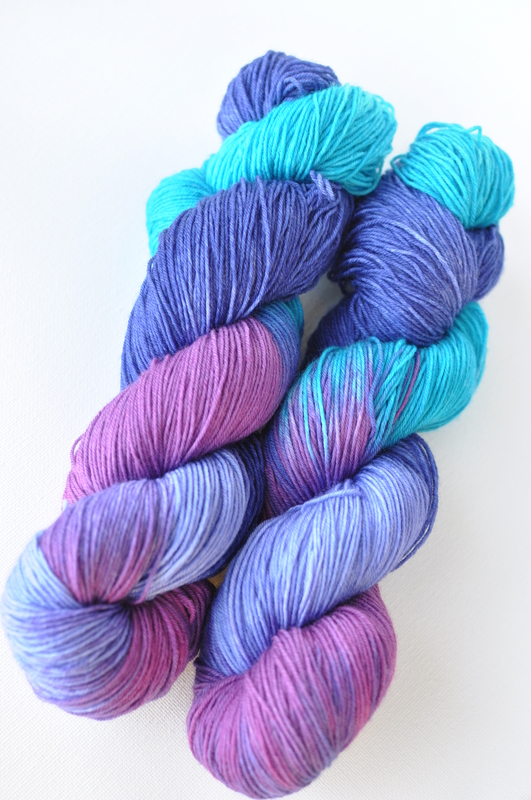 was dyed on a brand new base for us, our Swan Lake Silk blend, consisting of 50% superwash merino wool and 50% silk. This silky smooth colorway contains hints of mauve, violet, pink, and olive green, perfect for your next shawl, scarf or cowl. 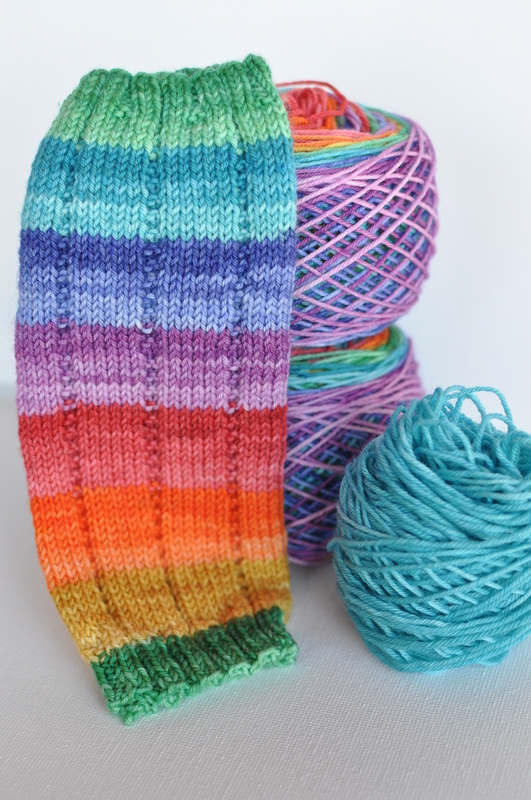 Check out our Etsy shop update on July 1 for the debut of our longest striping sequence ever — Watercolor Rainbow — consisting of 12 rows each of 7 gradiant colors — that’s 84 rows total! 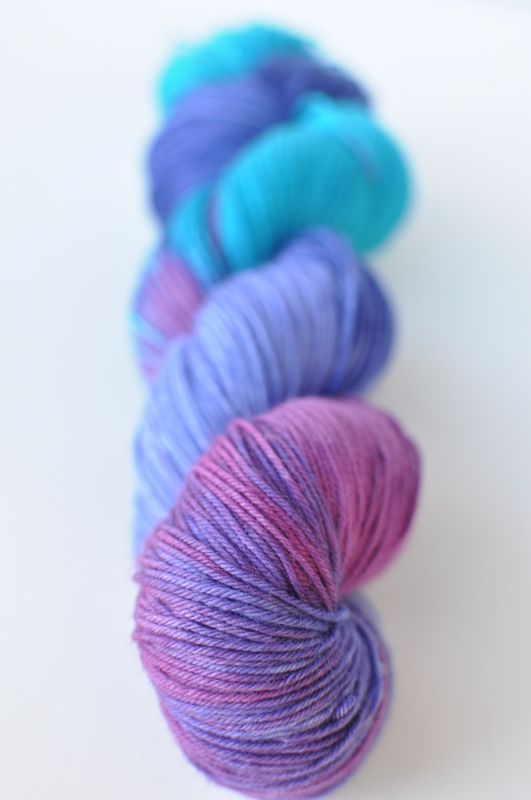 The shop update will also include two previous summertime favorites: Make It Pop and Lakeside. 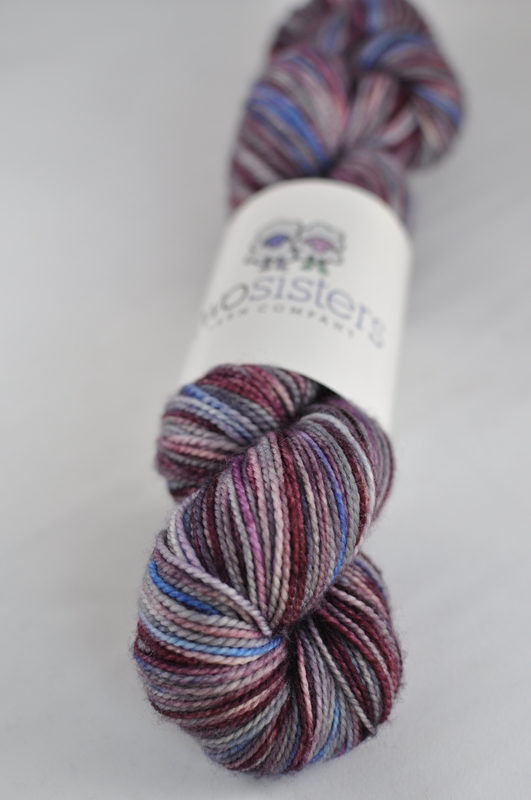 This super-long self-striper was dyed on our Big Sky Base, and it comes in two identical half-skeins for you two-at-a-time sock knitters out there. The striping sequence consists of 12 rows dyed in a gradiant effect (dark progressing to medium progressing to light) of each of the following colors: tomato red, tangerine orange, mustard yellow, spearmint green, tidepool blue, mulberry purple, and boysenberry violet. 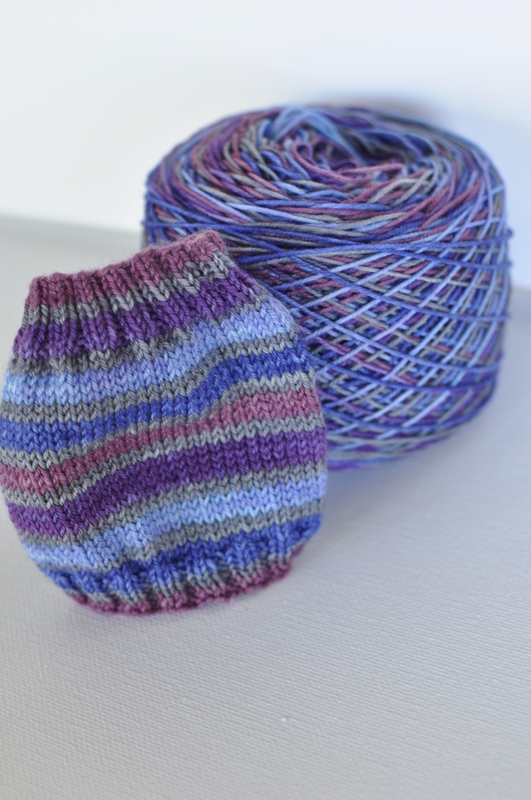 Each OCD skein set comes with a Sister Sidekick heel/toe mini skein in tidepool blue. 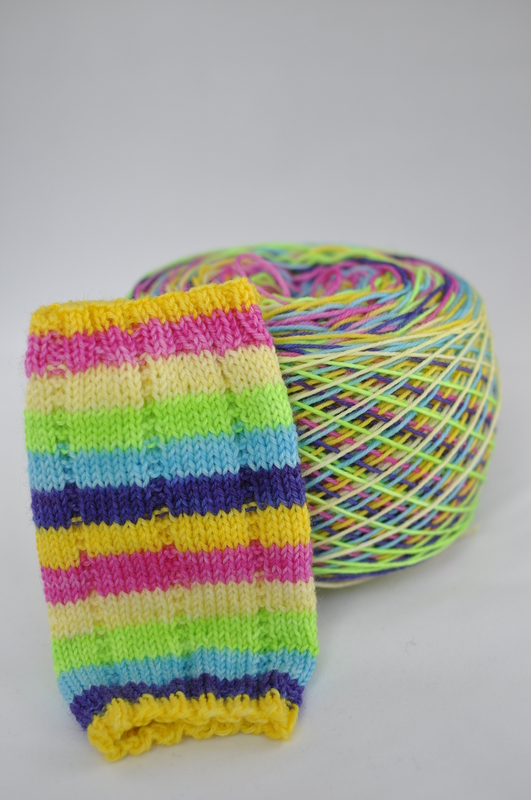 Make your socks “pop” with the six bright colors of this colorway – perfect for Summer. Knit up 5 rows each of Sun hi magenta, Jodi pink, Corki yellow, XOIQ aqua, MacKendrick prep red, and Caleb green. This colorway will be available on our Big Sky Base. Now that summer is in full swing, it’s time to hit the lake. Named after the Montana town near our summer lake get-a-way, this colorway was dyed on our Big Sky Base and consists of four rows each of evergreens, berries, waves, rocks, lake shore, and summer sky. 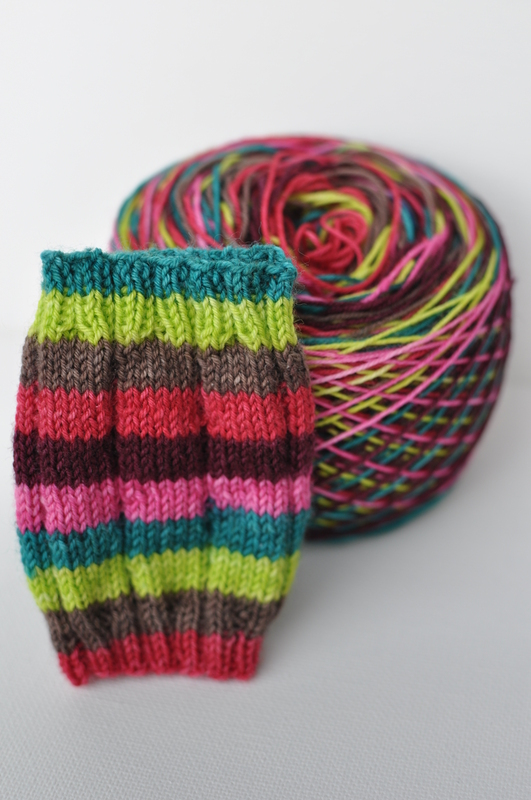 The fun, adventuresome Pippi Longstocking was the inspiration for this colorway. Dyed on our Big Sky Base, this colorway consists of 5 rows each of strongest girl in the world red, Villa Villekulla green, pluttifikation pink, outrageous orange braids, Wrestling the Mighty Adoff burgundy, and adventures on the sea blue. 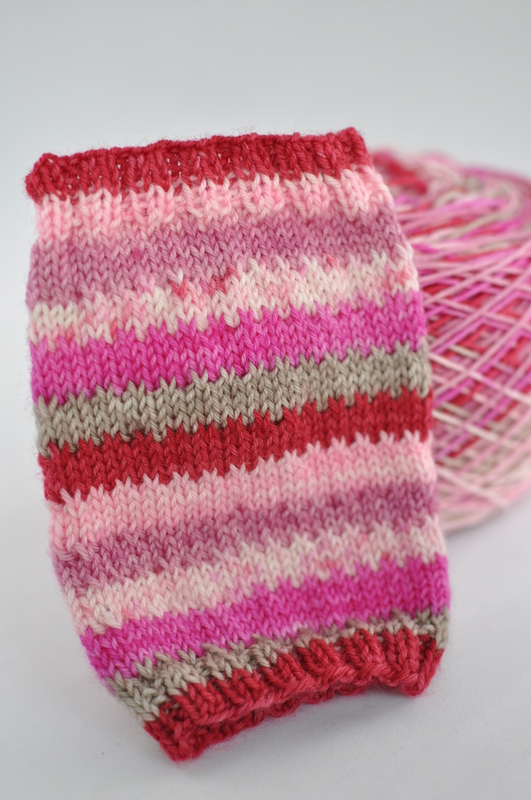 Each skein comes with a Sister Sidekick heel/toe mini skein in pluttifikation pink or cherry red. 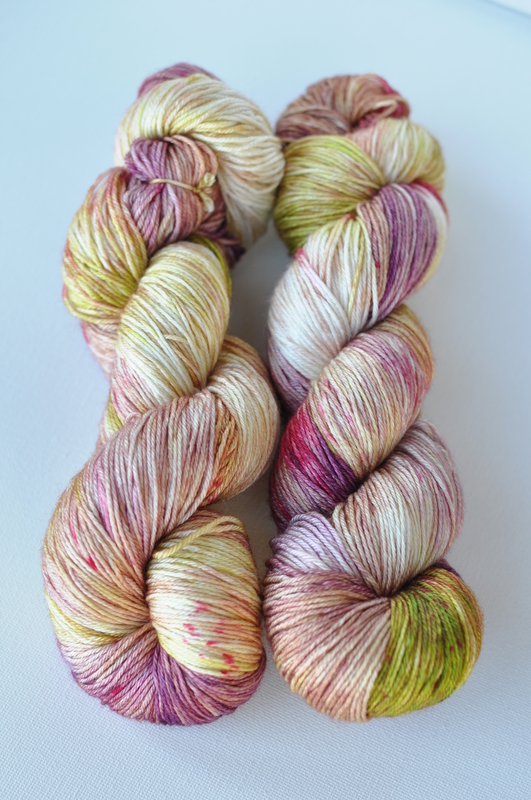 Our second Pippi inspired colorway was dyed on our Big Sky Base. 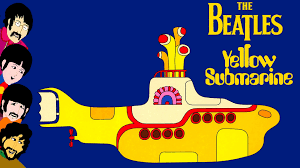 The striping sequence consists of 5 rows each of carrot colored hair, red pigtails, Malin’s pink undershirt, sea captain navy blue, Mr. Nilsson’s little green bed, and blindman’s buff cream pie. 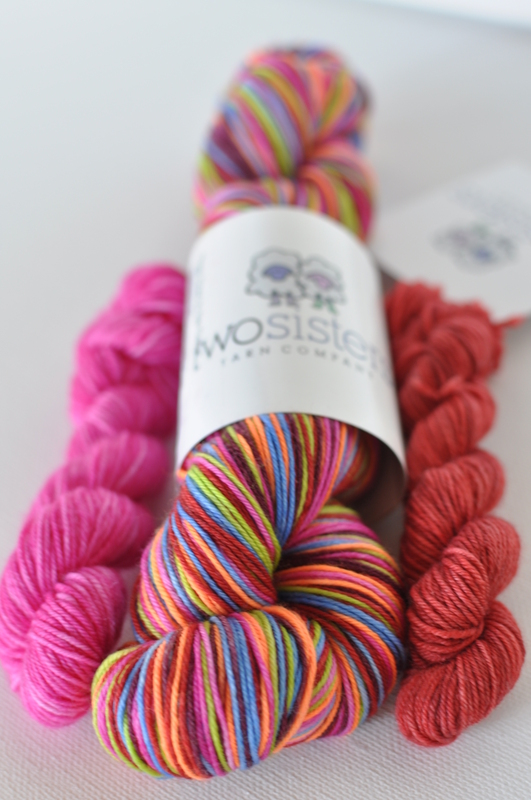 Each skein comes with a Sister Sidekick heel/toe mini skin in pluttifikation pink or cherry red. This colorway is the third in our Beatles’ series. 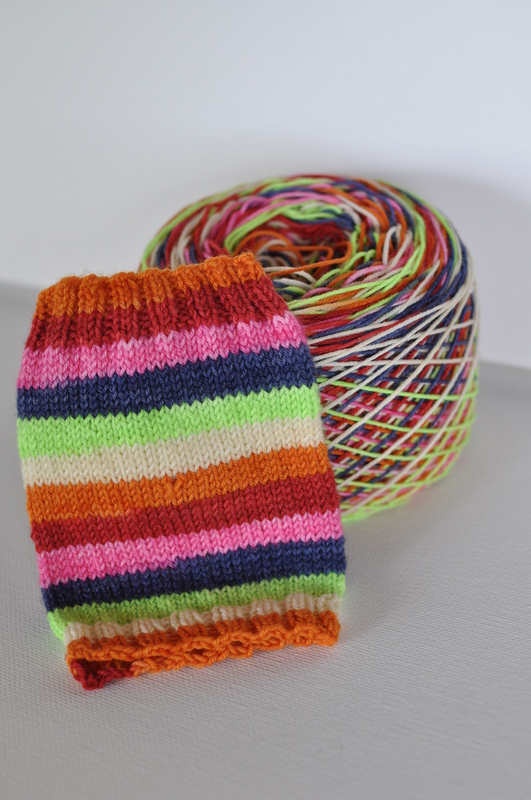 This self-striper was dyed on our Big Sky Base, and the striping consists of 4 rows each of Ringo red, sky of blue, sun yellow, Jane Asher pink, sea of green, mariner maroon, and Mean Mr. Mustard. On April 21, 2016, the legendary Prince passed away, so this colorway was dyed in tribute to him. 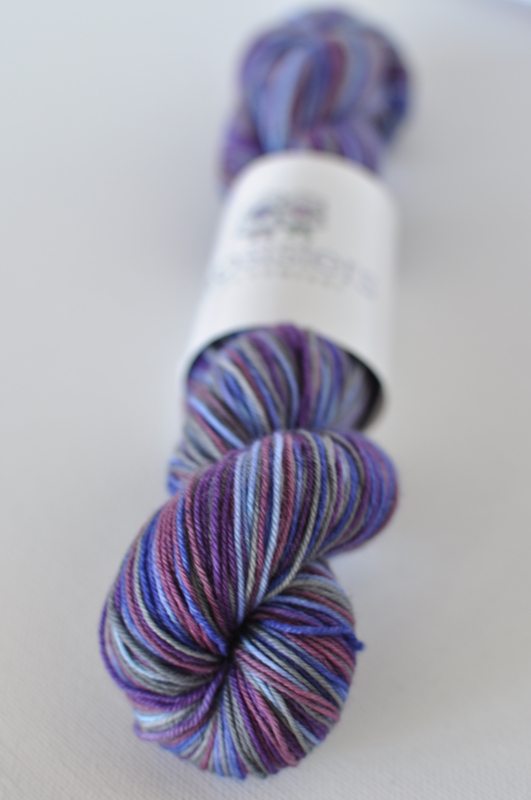 Dyed on our Big Sky Base, this colorway consists of 3 rows of Prince Rogers Nelson, 3 rows of Love Symbol #2, 3 rows of Sign o’ the Times, and 3 rows of Purple Rain, all surrounded by 2 rows of mourning. 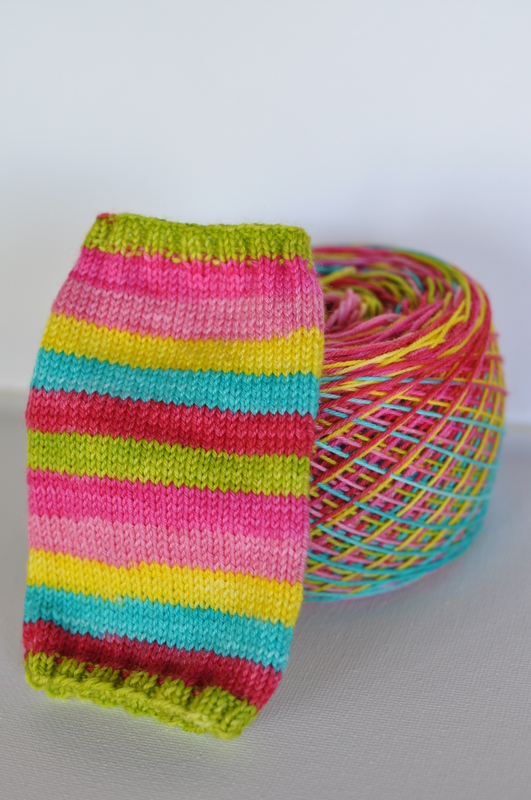 Make your socks “pop” with the six bright colors of this colorway – perfect for Spring. Knit up 5 rows each of Sun hi magenta, Jodi pink, Corki yellow, XOIQ aqua, MacKendrick prep red, and Caleb green.